Things didn’t turn out well the last time you stood at a similar crossroads, but you’ve grown since then. This time you’ll succeed. Be confident. Don’t let your grievances get lumped in with others’. Fight your own battles. Cohorts can fend for themselves. Things are contentious at work, but that may not be bad. Familiarity breeds complacency while unpredictability keeps everyone on their toes. You won’t like learning that an intimate matter has been made public, but don’t let on. People are too preoccupied to notice. Bills are mounting, but so are prospects. Keep your eyes on the prize and you’ll pull the whole thing off in the last moment. You’re feeling very ambivalent about a relationship, but that may be the point. It wouldn’t be new emotional territory if you already knew the way. Pay close attention to a hypothesis today. It’s not as theoretical as it seems. In fact it’s very close to coming true. Behind-the-scenes information comes to light unexpectedly. Though this answers many questions, it also puts you in an awkward situation. Proceed warily. 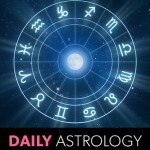 The Moon in Pisces brings out your melodramatic side. There’s a lot at stake, but you’re not exactly tied to the train tracks either. There’s a clash between your aesthetic values and your monetary ones. It’s agonizing because you really want the best quality. It isn’t easy having good taste. Things are touch-and-go early in the day, but back off and you’ll regain your equilibrium by nightfall. It’s no fun being kept hanging, but is this karmic payback for all the times you left others in the lurch? Could be the impetus to turning over a new leaf.